Your child receives phone calls from people you don’t know or is making calls, sometimes long distance, to numbers you don’t recognize. Figure 1 shows the sign-on screen for the control panel. Both options (View Internet Activity and Setup Options) require administrator password privileges. 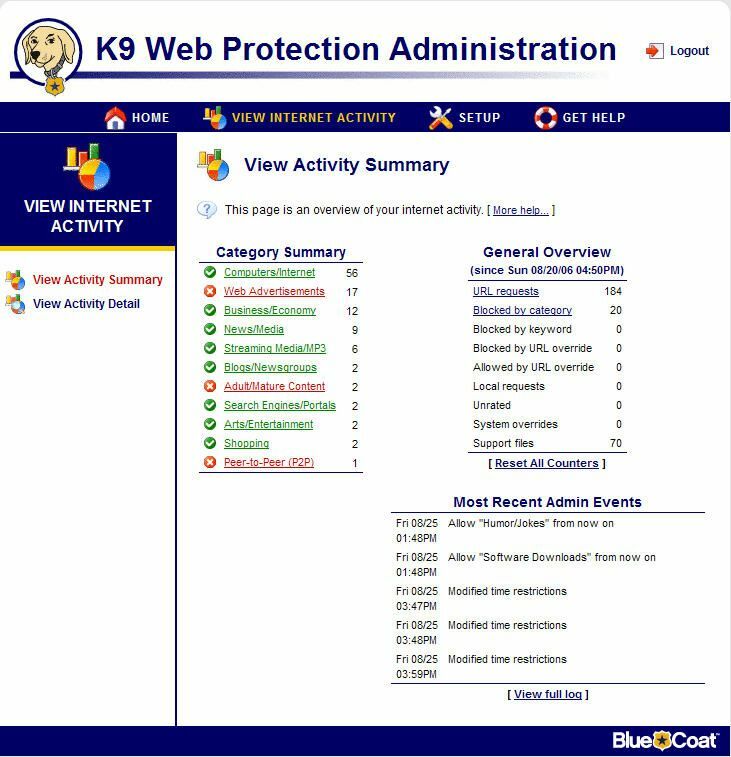 Figure 2 shows the Internet Activity Screen. It gives you the category summary and general overview of the websites that have been visited from all users on that PC. In Activity Detail, it will actually list the individual sites that were accessed. You can reset the counters after each time you look at the stats or every month, etc., so the log file won’t become too large. Figure 3 is the Setup Options area. 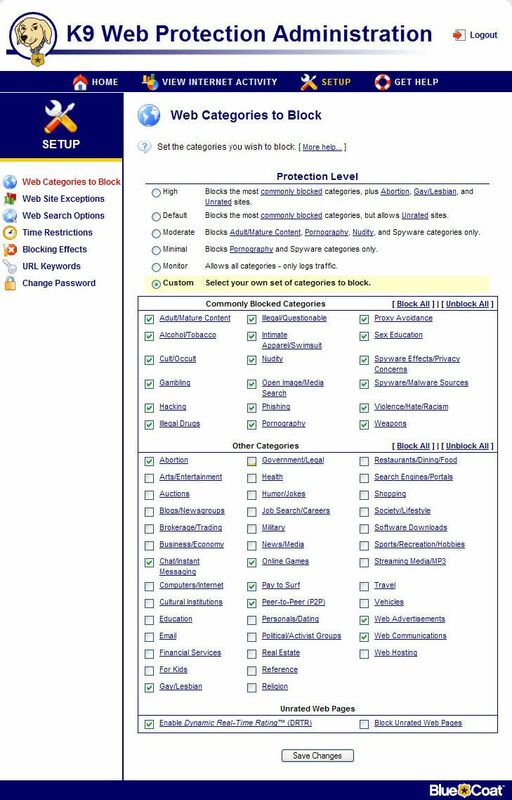 Web Categories to Block – Sets the categories to block. It offers several protection levels of filtering, or you can make a custom filtering level if you wish. Web Search Options – Using Google SafeSearch™ will filter search results you get from Google. This will reduce the amount of adult material that is returned when you search with Google. Time Restrictions – Allows you to “turn on” or “turn off” the internet at half-hour intervals throughout the whole week. You can drag/select more than one block at a time to make setting it go a lot faster. Overall, the parents’ computers that I’ve installed this program on have been very pleased with the results. They have broadband connections and could not tell any noticeable difference in their download speed. 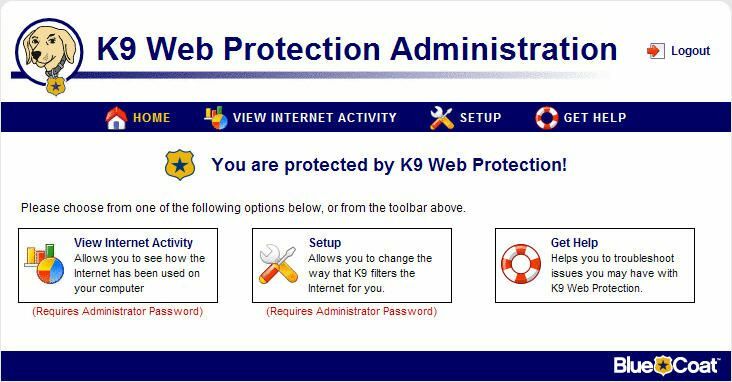 If you like this program, please spread the word about K9 Web Protection to all of your friends, parents, etc. 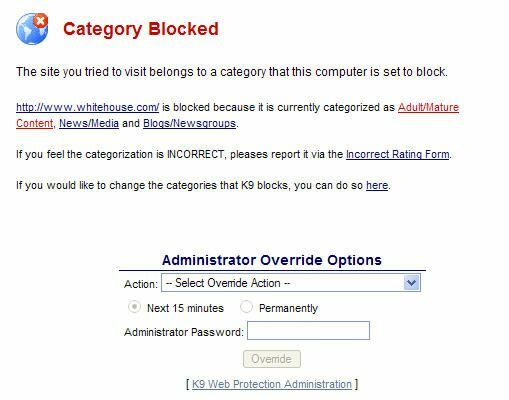 who would benefit from content filtering software.